Imagine you’re Paul Revere, riding from Boston to Lexington to warn citizens that the redcoats were coming. He may not be as fast as computer networks today, but Paul Revere was essentially acting much like a broadcast would- he was relaying his message to the entire town of Lexington. A broadcast, in particular, is a simple message that is sent to all clients on a local area network. But just exactly what enables a network to broadcast a message to every single client on the network? A broadcast address is an address used to indicate that information being sent out should be delivered to every client on the local area network. These addresses are always the highest number possible in a particular network address or subnet. We’ll cover subnets later, for now let’s take a closer look at the most common broadcast address: Data Link Layer broadcasts. When a MAC address broadcast is sent out, each network interface card on the local area network will see the broadcast address and automatically pass the information up to the upper layers of the OSI model. So far it’s simple- right? Now let’s get back to the subnetting and IP address topics that are present on the Network Layer. 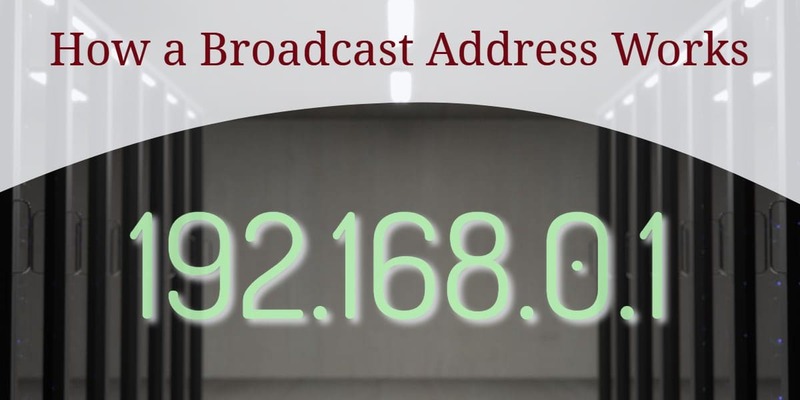 Remember how we stated that broadcast addresses are always the highest-most number in an address range? IP broadcasts are no exception! On a network that isn’t subnetted, we can simply place 1’s in place for each bit in the host portion. The result: our very own broadcast address! Things are still fairly simple: simply replace each host portion with the highest number you can create with 8 bits: 255. Notice that the network portions do not change- just the host portions. Sadly, this is where things start to get a little trickier: we need to find the broadcast address of a subnetted network. We need two things to find the broadcast address of a subnetted network: an IP address, and the subnet mask. 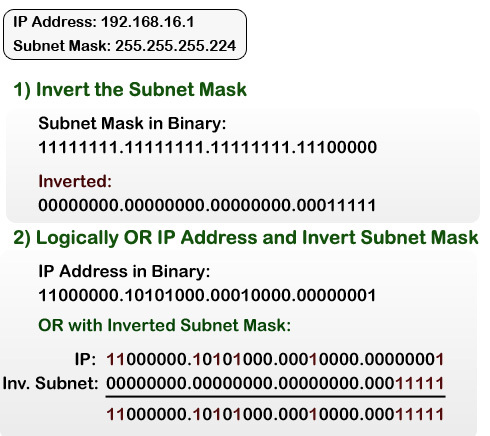 The process is simple: find the inverse of the subnet mask. Then take the result, and logically OR it with the IP address to get the broadcast address. Now we know how to find the broadcast address and how it works- but what is it used for? What are Broadcast Addresses used for? Address Resolution Protocol (ARP) uses broadcasts to map physical addresses to logical addresses. To build the table of hosts, a device needs to send a broadcast to every other device on the network to essentially find out who is where. Several types of network protocols and services use broadcasts in the same way. Dynamic Host Configuration Protocol (DHCP), for instance, requires that broadcasts be used to dynamically assign an IP address to computers on a network. Also make note that broadcast addresses should never be used as host addresses. This can be confused in subnetting, where it isn’t always clear where the host portion starts and ends. The broadcast address is reserved as the highest value- and likewise, no IP address should use a broadcast address or problems will arise. What about a Layer 3 Switch will it stop the broadcast? Excellent article. Very clear explanation and easy to understand for a novice like me. Thanks a lot. A layer 3 switch is pretty much just a router, so yes, it will stop the broadcast. 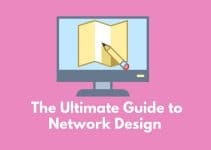 studying for CCNA Cert., taking class, etc. I enjoyed this article. Explained a lot. Wasn’t not aware of the usefulness of inverting the subnet. Affords some interesting combinations, and discoveries. Understanding networking from the point of view of ones-and-zeroes is very interesting, and essential to a complete networking understanding. This article gave the best understanding for broadcasting which i had been confused a while. the concept of broadcast address. What do you think would happen if broadcasts were being sent from network to network- all over the internet? So why there is no reaction to Daniel’s mail yet? Perhaps you should update your article, ah? Can i use .255 wich is the broadcast adress in a WAN’s broadcast? If “a switch is pretty much just a router, so yes, it will stop the broadcast” how can the devices receive the broadcast on a switched network? I mean, if my pc sends a broadcast packet, the first thing the packet will hit on a switched network, will be the switch and if the switch stop the broadcast, how the other host are supposed to receive the broadcast? I’m glad that someone (Daniel) already seen this huge mistake about classes. 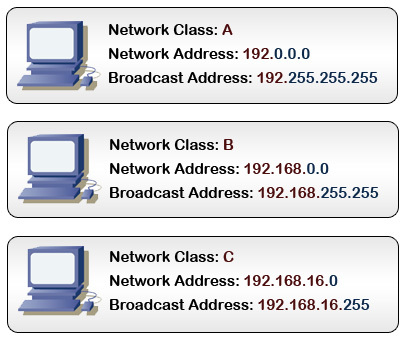 Classes refer to IP addresses NOT subnetmasks. And thanks Daniel, not sure why I didn’t read your comment better the first time. Classful networks were abandoned in 1993 in favor of CIDR block allocations. In modern networks, Class A, B and C’s are essentially colloquial terms to describe the major CIDR blocks at /8 (A), /16 (B) and /24 (C). So in the above example of 192 addresses, while maybe not as clear as he could be if he used CIRD slash notation, he is in fact corect given that the article was written after 1993.
i want to find who sent the broadcast message? i mean that from which system the message was came? QUESTION: If two subnets (10.1.1.0/24, and 10.1.2.0/24) are connected through a router/gateway; and a host (10.1.1.100) sends a frame to a “10.1.2.255” destination address; will it get passed (i.e., routed) to the connected domain and get distributed (broadcast) there? This is a corner case of interest, that currently seems ambiguous to me. Anyone that knows for sure, please advise. Thank-you. @Vern: for router to broadcast to hosts in 10.1.2.0/24 subnet, ‘ip directed-broadcast’ has to be enabled on the interface. by default, it is disabled. Thanks so much for this explanation. Keep em coming.. Hey…. by the way ..I am really thinking about making a career move .. 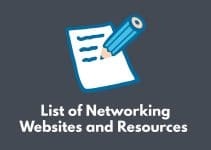 I currently work in real estate but have been self educating in networking over the last couple months and seem to have a knack for it.. I was told by many certification schools that it is really a good job market out there but that I will need a few certifications to break in…. I know they want to make some sales and am a little skeptical….They told me that if I got my net+,ccna and mcitp I could easily find a job and in a few years be making over 50k. Would anybody out there care to comment about this.